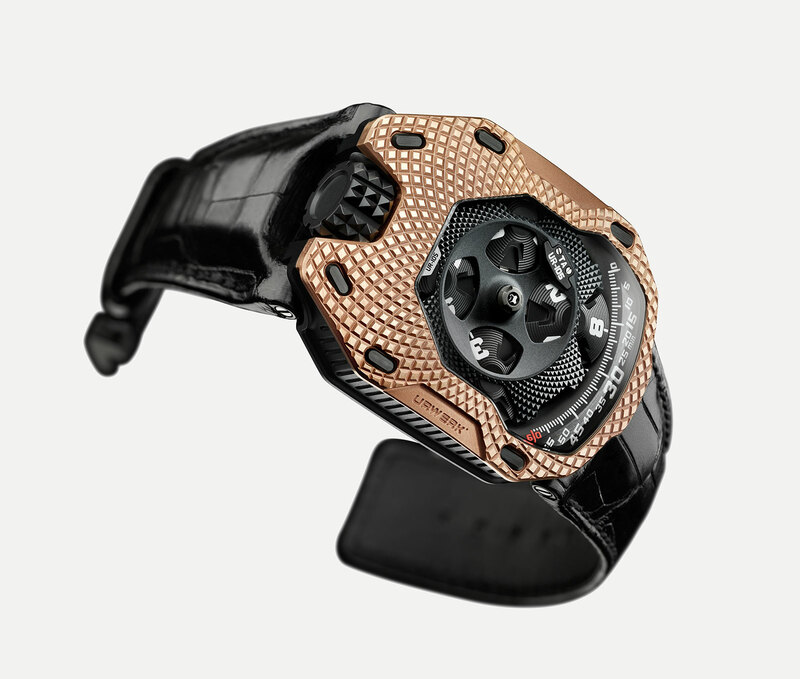 Urwerk‘s entry-level wristwatch, the UR-105 gets a bit fancier with the limited edition Raging Gold. This sports a red gold front plate finished with a Clous de Paris, or hobnail, surface. While the motif is reminiscent of the recent UR-105 T-Rex, the look is distinctly more luxe. Gold fascia aside, the UR-105 Raging Gold is identical to the ordinary UR-105. 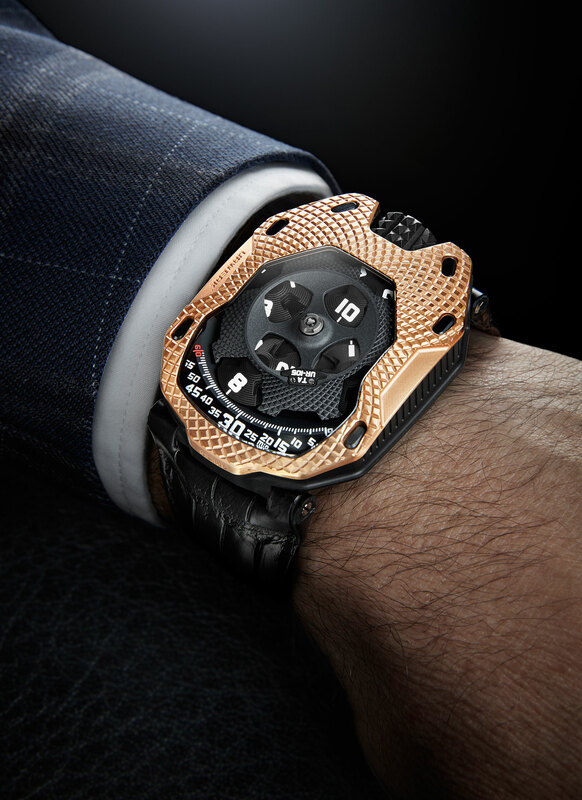 The case measures 39.5mm wide and 53mm long, with the 18k gold front plate on a black-coated titanium back, and the UR 5.02 movement in between. Featuring turbines to regulate the automatic winding speed, the movement has the Zenith Elite as a base and boasts Urwerk’s signature satellite time display that shows the hours on swivelling discs that also point to the minutes. 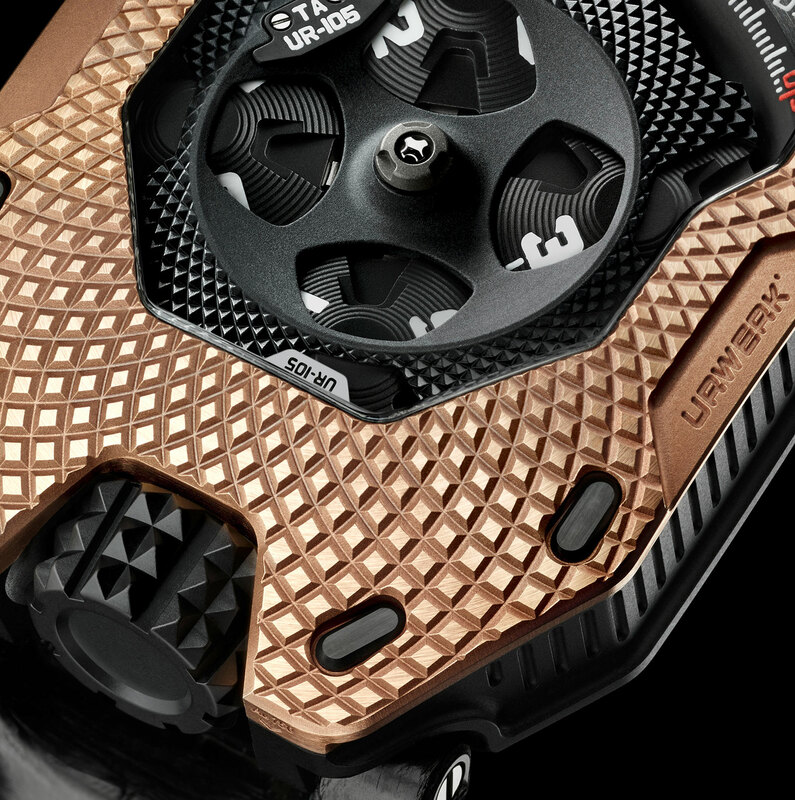 The UR-105 Raging Gold is limited to 22 pieces. In Singapore it’s priced at S$126,700 including taxes, while the Swiss retail is will be in the region of SFr66,000. 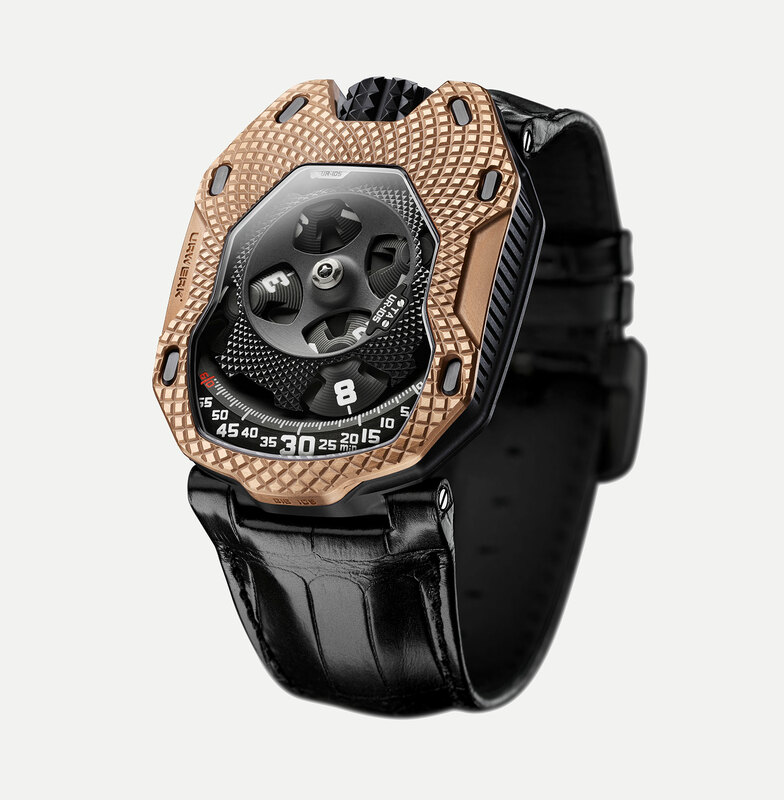 Urwerk gives its high-tech EMC wristwatch an elaborate, hand-engraved case decoration done by Austrian gun engraver Florian Güllert.